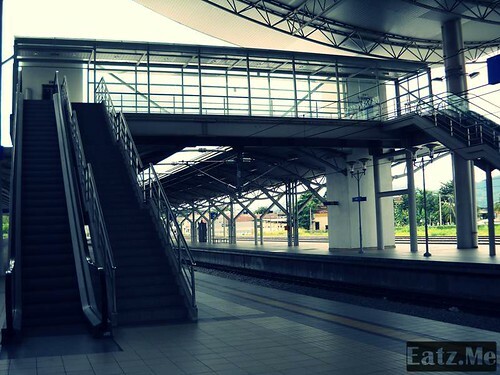 Malaysian’s First Speed Train, ETS KTMB – Part 2. Okay, I’ve explain to you some about this ETS service in the first part of it. You may refer it HERE. I think the post is too long, so I will continue here. In the train, they have TV set. They show some cartoon programme and sometimes I see some new movie trailer being shown. This was quite nice I think. They also give you the power socket. So if it happen some of you want to use your laptop or want to charge your drying batteries, you may do it. The toilet was very neat. It has a good scent also. =) Train also clean, and new. But I don’t really like the seat, It was like the Rapid KL busses seat, huhu. The train was new and it’s very comfortable during the trip. However, I would like to suggest them some other features they could offer. Please have Free WIFI. Please, Please, Please. I know it would be possible to do it. I believe that’s all for now that I could review for this ETS service. Enjoy some picture below after the break. Before you go to the pictures, I would like to give you some details for the service or if not, you may refer this KTMB ETS website here: http://www.ets-train.com.my. Please don’t go to the normal KTMB website, because it was quite slow. I really think KTMB should foreseen this, lucky they have specific website on ETS that faster. But you may just refer here, I’ll make it easier for you. New update will be posted here from time to time. *if you cannot understand this schedule, as it was a compilation to all the journey, you may refer the simple schedule below under “The Fares”. Updated Fares as per 1/5/2011 have 3 classes of train. Silver, Gold and Platinum. 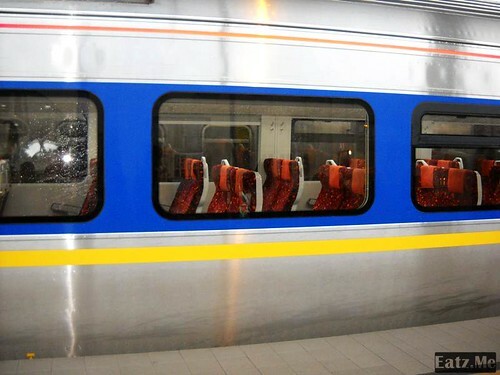 Express:- South Bound (Ipoh – KLS – Seremban) | North Bound (Seremban – KLS – Ipoh). 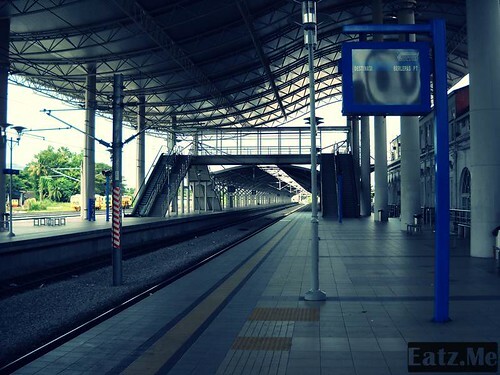 Normal:- North Bound (KLS – Rawang – Tanjung Malim – Slim River – Kampar – Batu Gajah – Ipoh) *it seems to me like there are no Silver train for normal South Bound Train. Gold is MYR 35 per way. Pricing and Schedule Pamphlet. Platinum is MYR 45 per way (subject to change). Pricing and Schedule Pamphlet. The difference with the premium is that it will goes straight to K.L.S from Ipoh without stopping and it will gives you complimentary breakfast. This train will only have their journey in the morning. 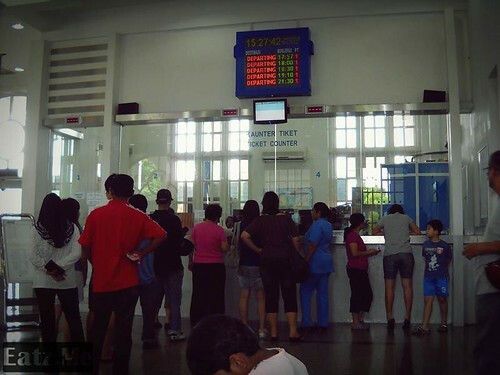 Having the ticket on the last minute had cause me to stranded at Ipoh Railway stationed for like 4 hours from 3pm to 7pm as people are rushing to commute to other places because the schools will start on the next day. But for me I do not really care about it because as long as I got the ticket, its fine. 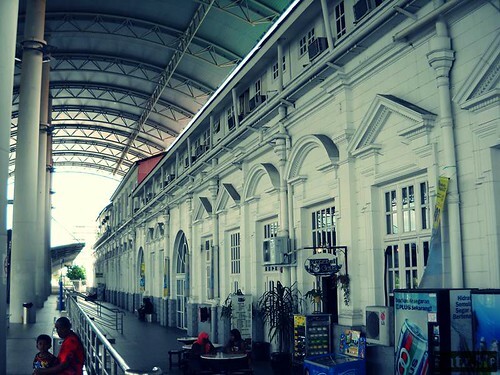 So I take a view of this old but renovated Ipoh Train Station and managed to snap some picture. 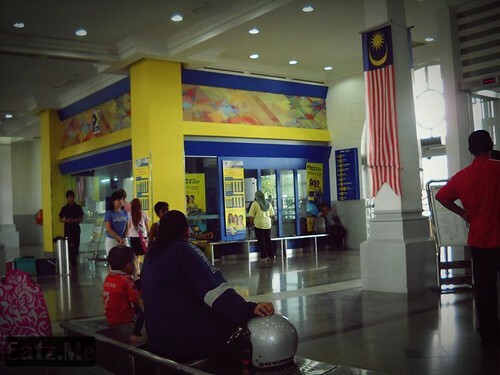 Ipoh Railway station to me was very nostalgic despite all the renovations that had been made. It’s was a very old building, build on 1935. Now it was very comfortable to wait here because it has better facilities now. The waiting area are also now air-conditioned, got mini cafe, mosque and have quite a clean toilet. There’s are also free plug anywhere so you may use ur laptop or charge ur phone there. And once again I really hope there are free WIFI there, not the Streamyx Hotspot. But if you want to stay long here, there are Hotel here named Majestic Hotel. An old fashion hotel. 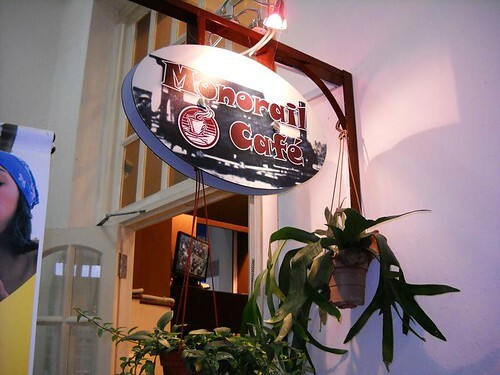 Monorail Cafe, as cute as it’s name. Now it has been modernized. 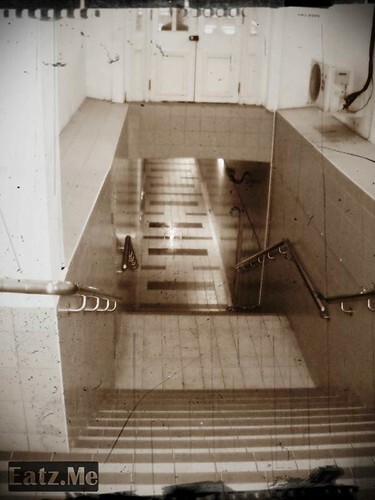 Has a better facilities, like the escalator and lift. There are also some creepy part of this railway station which is the old tunnel inside it. Long before, there are no bridge to cross the rail line, so they used tunnel for people to come to another platform. 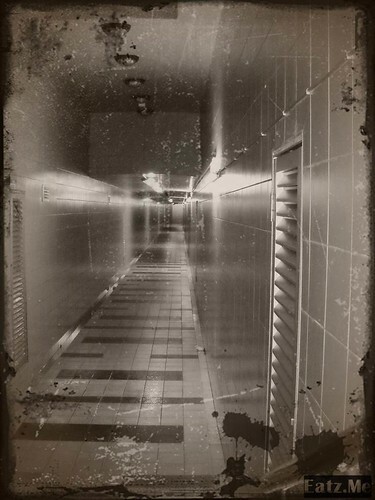 Now the tunnel had been used, so it looks quite creepy for me. Hello, I want to ask if I can change my ets ticket to other time?